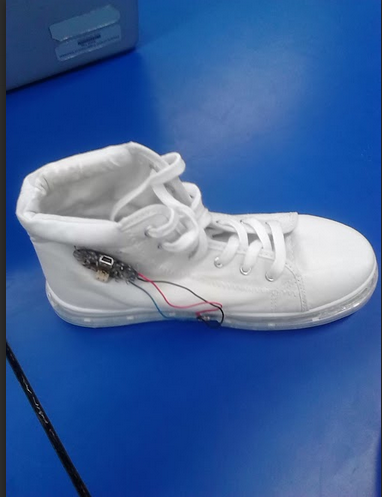 To make a firewalker shoes, first you need: shoes, Arduino flora, LED’s, metal wires, regular wires, a battery pack, batteries, velostat paper, Needles, and a solderer. Then you test if everything is working by connecting the Flora and others parts LED’S, metal wires and the batteries and use Arduino to program it. But when you’re testing them, make sure that the wires are not touching each other, because if they touch each other it doesn’t work. If everything is perfect, start putting the parts in the shoes. Use a Needle and a metal wire to put the flora in one side of the shoe. Put two metal wires in the velostat paper. 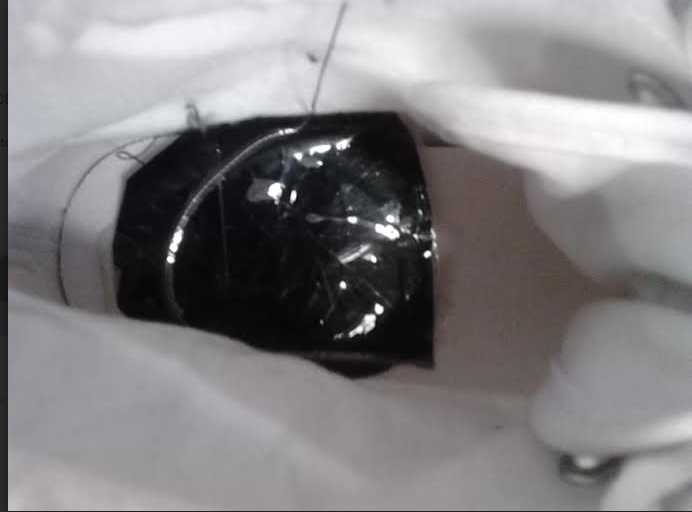 A metal wire in one side and the second in the other side of the velostat paper so that the electricity can go through it. Make sure the two wires are not touching each other, and that they are long. Then put the velostat paper in the heel of the shoe. When you finished, use a needle to take out the rest of two wires that is in the velostat paper to connect them with the Arduino flora. Put one wire in (SCL) and the other one in (GND or Ground ) then solder it. 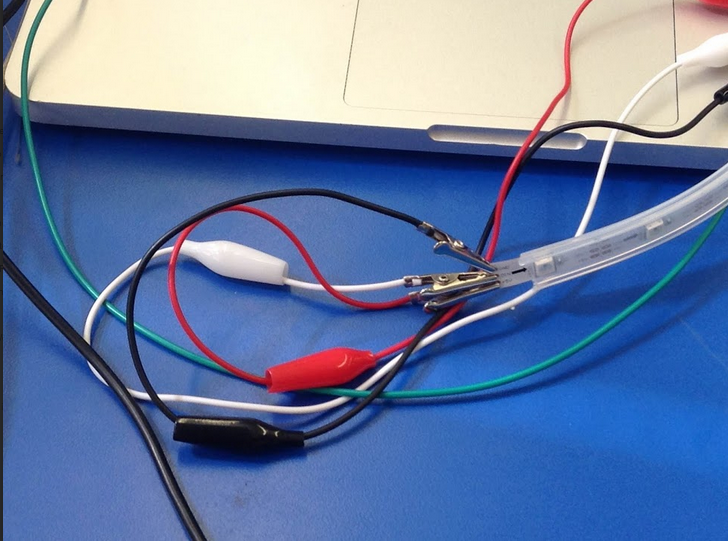 Take three regular wires with different colors so that you won’t be confuse while connecting them to the Arduino flora. The LED’s have three different part which is bling and solder them. Put the LED’s around the hall shoe and use glue to stick them so that they won’t come out. Then take the the other sides of the wires and connect them to the Arduino Flora. When you finished look if all the wires are not touching each other and if they are in the right place. 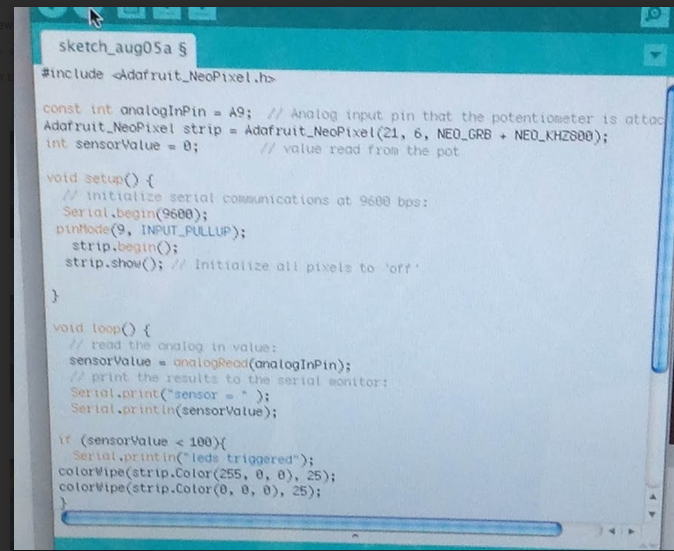 Then go to your computer look for Arduino, Download the App and open it. Put the code and press enter. If everything is perfect it will say Done uploading, but if something is missing or is in the wrong place it will say Error uploading. If it says error Uploading, you need to go back and correct things. Here is an example of a code that you can use. We are Brooklyn international students. In science and english class, we worked with Beam center to make a digital poetry. 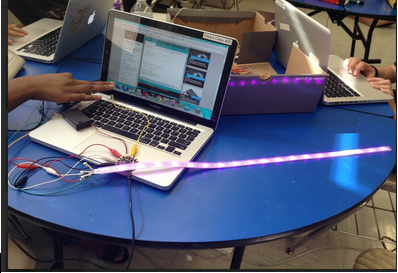 In this project we also learned how to make games and animations using Scratch and Arduino. We are going to show how we made some of our projects.